Anyway. 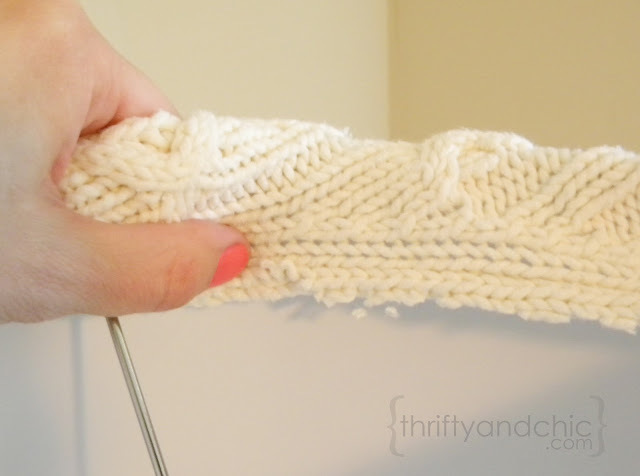 Today is another simple project dealing with.....yep, you guessed it....sweaters :) This time, updating a lampshade using a sweater. If you are lucky, and have the right sized sweater for your shade, this will take no time at all. Okay. 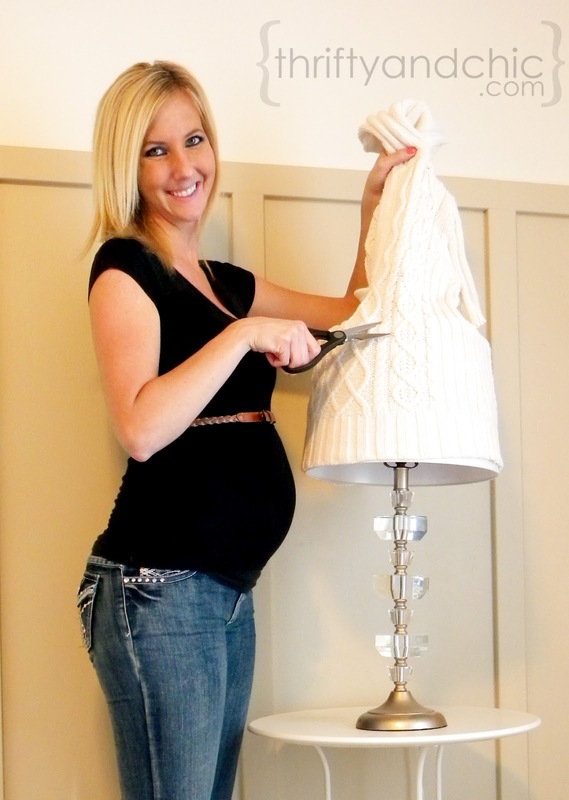 All you have to do is get a sweater and fit it on your lampshade. I had the bottom of the sweater hit the bottom rim of the shade, made it easy and kept a nice finished edge. For this, I used a sweater that was a perfect fit for the shade itself. If you are using a bigger sweater, you may want to take it in on the sides a bit to get the fit you want. The best thing about this project is that you aren't ruining your current lampshade. 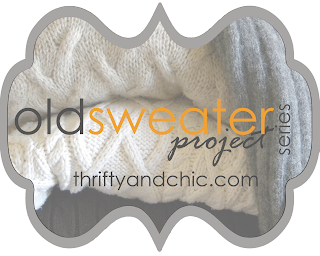 Since the sweater fits right over an existing shade, there's no need to spray or glue the outside of the shade. 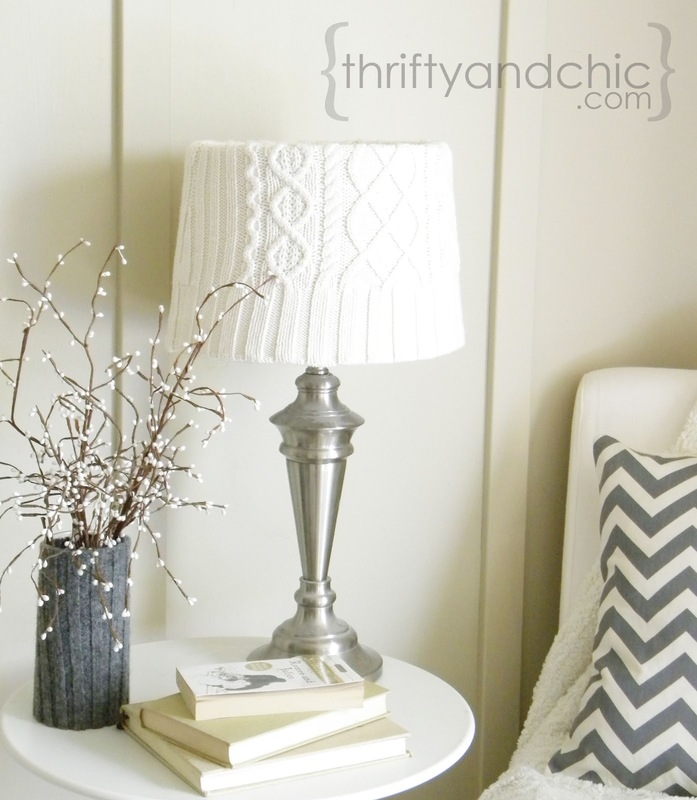 This is a great way...and cheap way...to transition the lamp from summer to fall/winter. 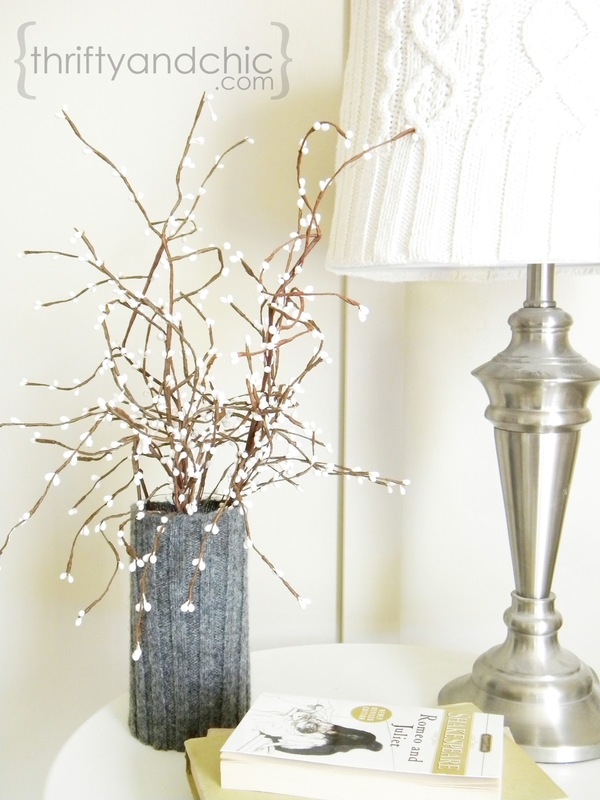 If you missed yesterday's post, just click below and see how to make a vase cozy. Takes like 1 minute to make :) Seriously. What an adorable idea!! I love this; it looks so cozy to have the lamp shade wrapped in a sweater! And speaking of adorable- you look too cute preggers! Congrats!! Ok you are the cutest preggo I ever did see! And I LOVE that sweater Lamp!! Super Cute! Cute idea and nice choice of sweater. Love the white with the rest of the things on that table. And all the best, Preggy Bird! Best wishes. Great Idea... love the look and such a simple thing to bring a sweet elegance.. Thank you for sharing with us. Now I know what a genius is. Bravo! Love this. Warm and cozy lampshade. Great way to create texture and ambiance! I found you at the HOH link up. I love this sweater shade and I love your blog! I'm your newest follower! I would like to invite you to share this at my party, Twirl & Take a Bow at www.houseontheway.com. Your ideas are so creative! Just found you through a link party. Such a cute and cozy idea. And congrats on making it to 27 weeks with such beauty! You look fab! I love this fabulous idea. It can really cozy up a corner. Thanks for sharing at Throwback Thursday.